At Think Lightweight, our focus, passion, and what we really enjoy is applying lightweight engineering principles to traditional solid wood applications. Our goal is to replace heavier, harder wood material products with lightweight, more adaptable, and stronger hollowcore panel solutions. We are pioneers in the field of lightweight hollowcore technology specialization and have over twenty-eight years of experience. Our in-depth knowledge is based upon developing thousands of solutions to meet the demanding specifications of our clients and manufacturing millions of honeycomb panels. In addition, we understand that aesthetics are as important as structural quality. We continually research and apply European design influences within the products we offer to the North American marketplace. First, our design approach is very innovative. You notice there is a robot beside this paragraph. 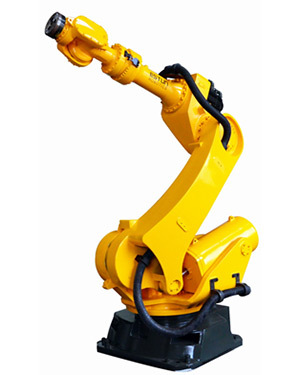 We use the latest robotic technologies and state of the art manufacturing processes in order to provide you with the best product to serve your clients. Second, we are an Industry 4.0 company. Industry 4.0 facilitates the vision and execution of the concept of the “Smart Factory.” The smart factory employs robotics and computer technology to provide a high-level of customization within a highly flexible manufacturing environment. It also integrates intelligently trained support workers to accomplish increasingly complex work. In addition, we also have implemented Six Sigma/Lean Manufacturing processes. The end result is that you and your clients will benefit from reduced product lead-times, predictable high quality, and overall reduction of errors to you and your clients. Third, our philosophy is based upon ensuring your project success. In order to do that, we want to understand your unique needs, and the millworkers and designers you work with, to ensure the solutions you provide them meet their demanding needs and discriminating tastes. Finally, is our customer centric approach to help you land new clients and sell more to your existing clients thereby enabling you to increase your order size while improving your margins. We don’t think in terms of just a single order or a single job. We think in context of the life-cycle of the customer; what they need today and might need in the future. We provide much more than just a product. We help you market to your clients through samples, brochures, preliminary designs, prototypes, and the assembly instructions to ensure your client’s success. We will be with you and your client through their entire journey. If you haven’t already noticed, we are really focused on your success because “Your success is our success.” That’s ingrained in our culture from top to bottom. You probably don’t think about lightweight structures used throughout history and every day all around you. Most likely you take them for granted. Think about the last time you were in an airplane and you looked outside the window at the wing. How would the plane’s performance be if that wing was solid instead of hollow? The wing is a great example of lightweight structure. Lightweight structures increase performance and save money by reducing initial and on-going costs, while also offering other efficiency advantages. One of the strongest shapes in nature is the honeycomb. The honeycomb is well known for its strength because a minimal amount of material can create the maximum amount of strength for that particular surface area. Testing has proven that the strength to weight ratio of a honeycomb far exceeds that of solid structures. Think about a bridge… the concept of an arch has been around since Roman times. The arch is a very strong structure that can support many times its weight because it distributes it across the structure. So when we think about shapes in an aircraft, a honeycomb, and a bridge, we begin to understand the defining principle behind lightweight panel technology. Within our products you’ll see arches and honeycombs. It’s these structures that enable us to replace the expensive heavy solid structures you currently provide your clients. Why You should think lightweight? Our goal is to help you provide high quality solutions to your clients and we can help you sell more in four different ways. Of course all of your suppliers provide training but we consider our training to be unique because we deliver it in your language and the way you like to be trained. It’s done using real world examples that is conducive to your fast-paced environment. We are easy to do business with. We are not a bureaucratic company. Instead, our focus is on the customer and helping you become successful. For example, a client provided us with basically a rough hand drawn sketch. Our R&D team created the rendering, assembly instructions, and installation instruction solely from that piece of paper. You can be assured of a smooth professional journey when doing business with us. Do you need some sales leads right now? We are continually generating leads and we will provide them to you and help you work those leads to close. We like to go on sales calls. So if you have an important client, invite us along! We will be glad to attend and help you close that high value deal.